Every DIY project I’ve ever attempted, encapsulated. 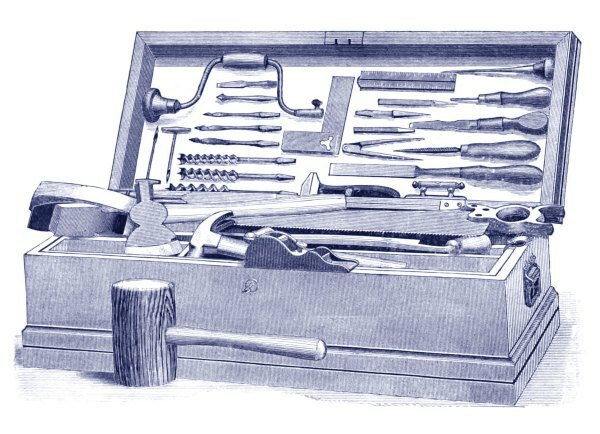 In my opinion every professional man should keep a chest of carpenters’ tools in his barn or shop, and busy himself at odd hours with them in constructing the varied articles that are always needed about the house. There is a great deal of pleasure in feeling your own independence of other trades, and more especially of the carpenter. Every now and then your wife will want a bracket put up in some corner or other, and with your new, bright saw and glittering hammer you can put up one upon which she can hang a cast-iron horse-blanket lambrequin, with inflexible water lilies sewed in it.